Double Denim, in partnership with the New Zealand Festival, is inviting 50 creatives – writers, artists, website developers, videographers, musicians, sailors, storytellers, poets, VR producers, historians, dancers – to be a part of the spectacular 2018 Festival opening A Waka Odyssey in a unique Content Creation Sprint. Similar to a "hackathon", over the course of the weekend of 17–19 November, the selected creatives will come together to join teams and work on a chosen theme traversing navigation, voyaging, science, environment, sustainability, history, journey, home and belonging. The resulting content will be developed and showcased on the New Zealand Festival’s digital channels and seen by thousands in the lead-up to the opening of New Zealand’s largest international arts Festival. It will be presented as part of an unprecedented work by A Waka Odyssey Creative Team Anna Marbrook, Hoturoa Barclay-Kerr and Kasia Pol. The other half of Double Denim, Anna Dean, says, "It's incredibly exciting to see what happens when a range of talented people come together. The project mirrors the experience of being onboard the waka. You have to adapt and collaborate and work with the people you're sharing the journey with. The waka travelling back and forth in the Pacific are containers of art, knowledge and understanding, as well as a form of transport. The digital waka we are creating together on the sprint will help share the stories of these journeys with a wide range of people around the world." The sprint will bring a cohort of talented creatives together who are keen to materialise their perspectives into tangible pieces of content by the end of this productive weekend – whether video, writing, photography, dance, illustration or tech. The pieces of finished content will start conversations about our history and narratives here in New Zealand and the Pacific, and be seen as a contributor to the New Zealand Festival. This project is also an opportunity to meet, work and collaborate with some of New Zealand’s best creative talent on a project that focuses on the unity of the Pacific World View and includes A Waka Odyssey Creative Team Anna Marbrook, Hoturoa Barclay-Kerr and Kasia Pol. The Content Creation Sprint will take place on 17–19 November at Credenza coworking space, Level 2, 40 Taranaki St, Central Wellington. Places are limited. Apply now. 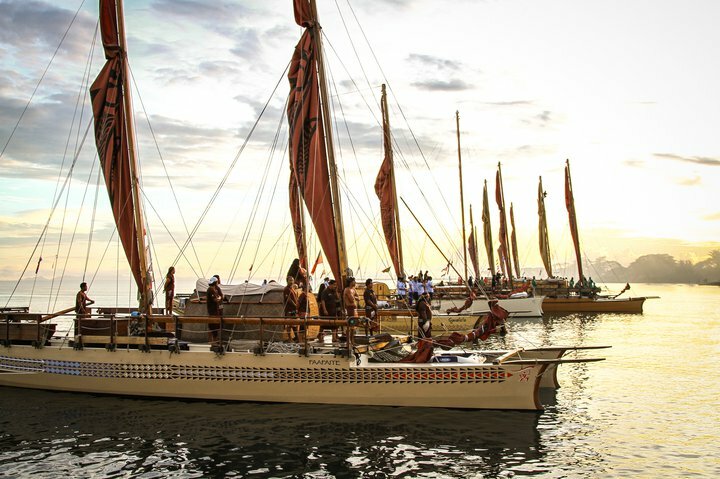 A Waka Odyssey is not a one-off event but rather a series of events over five days, beginning with an opening night theatrical spectacle to honour the legacy of famous Pacific explorer, Kupe. The choreographed movements of seven waka hourua, eight waka taua, and a fleet of waka ama will bring the harbour to life, while on land actors, choirs and kapa haka groups welcome the voyagers to the capital. A 1000-strong new haka for Wellington will be performed, and a full musical score is being composed by New Zealand music icon Warren Maxwell. A Waka Odyssey is not a one-off event but rather a series of events, beginning with an opening night theatrical spectacle to honour the legacy of famous Pacific explorer, Kupe. On the evening of 23 February the choreographed movements of waka hourua, waka taua, and a fleet of waka ama will bring Wellington harbour to life, while on land actors, choirs and kapa haka groups welcome the voyagers to the capital. A 1000-strong new haka for Wellington will be performed, and a full musical score is being composed by New Zealand music icon Warren Maxwell. A Waka Odyssey is supported by New Zealand Major Events, Wellington Regional Amenities Fund, New Zealand Community Trust, Creative New Zealand and NZ Māori Tourism.